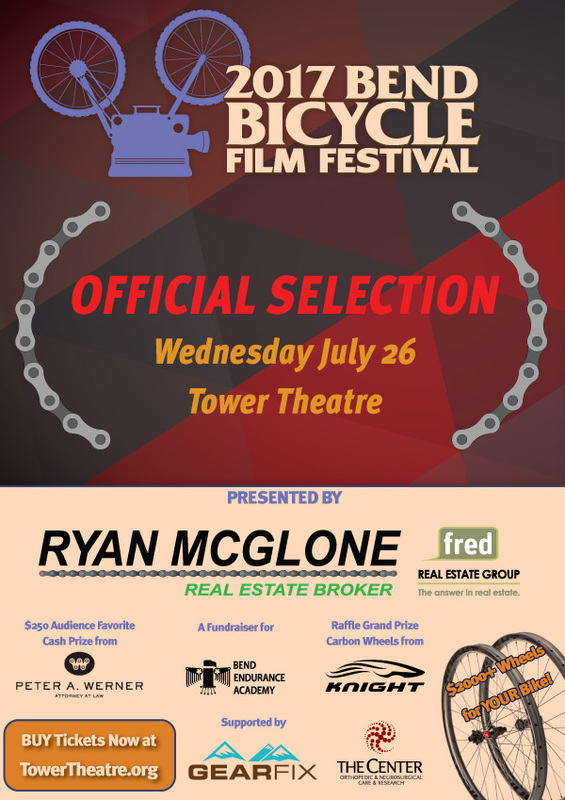 We’re a few weeks out from the event, posters are going up around town and everyone is out riding their bikes! 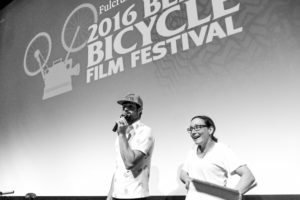 Get your camera, refine your edit and send us your short film! Congratulations to Todd Looby for winning the 2016 Audience Favorite Award of $250 from Peter Werner, Attorney at Law. Watch the film here and get you entries to us for your chance to win in 2017! Thank you for coming to the show last night! The 2016 BBFF was presented by Fulcrum Properties Group West and featured 17 Short Films at the Tower Theatre in Downtown Bend, Oregon. 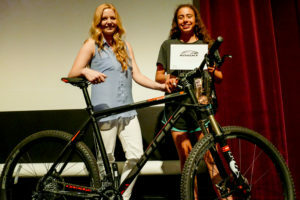 We raffled a mountain bike from Crow’s Feet Commons, some carbon wheels from Knight Composites and had a great evening seeing all of our cycling community supporters at the show. 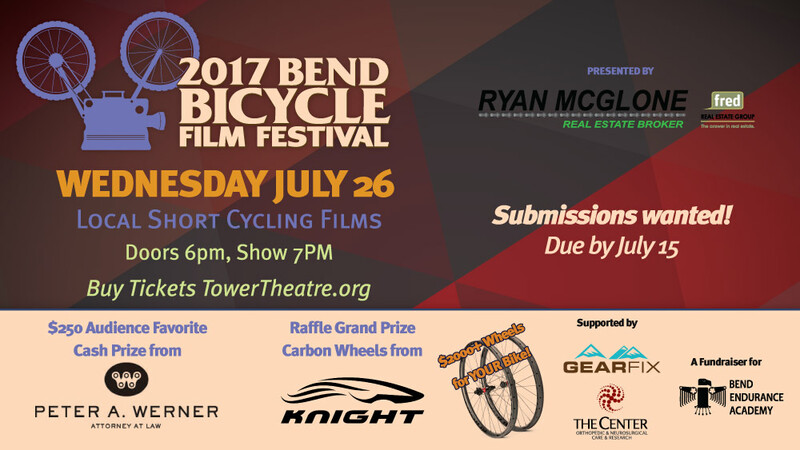 Congratulations to Todd Looby for winning the $250 Audience Favorite Award from Peter A. Werner, Attorney at Law with his film, Terrible 2’s! 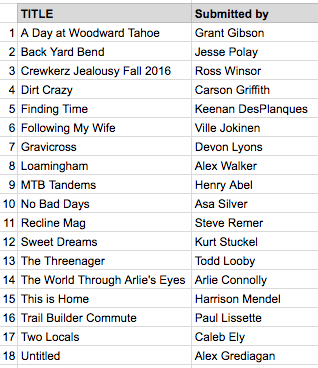 Ross Winsor with “Trials Spring 2015” and Lauren Hamlin with “Billy The Bike” tied for runner ups. Nicole Strong and Chad Cheeney hosted the show. The Tower Theatre is a cozy place to watch movies. Victoria Redman won the FOCUS Black Forest 27.5 Mountain Bike, and Jennelle Holmes won the custom carbon wheels from Knight Composites. 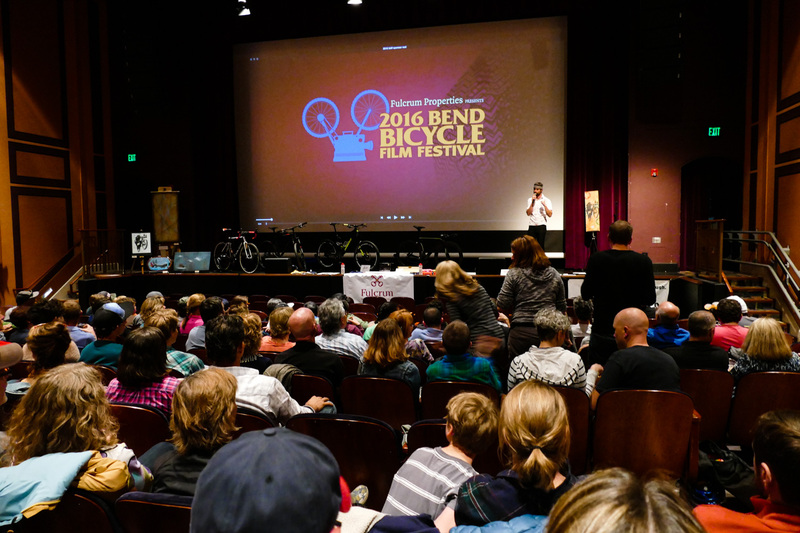 Ryan McGlone presented MBSEF, Commute Options and Bend Endurance Academy each $1700 from the Bend Bike Swap. Lots of the film makers were at the show. Great work! 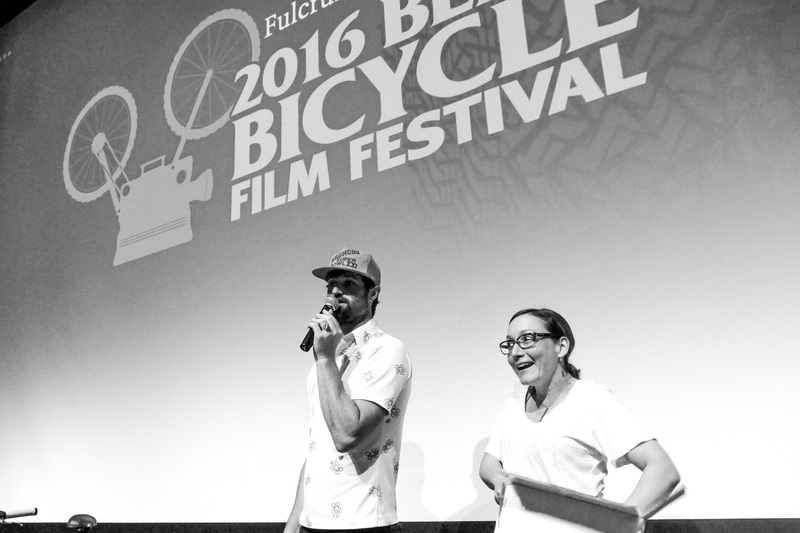 We’re happy to be able to share your films and remember anyone can submit films for next year. 1 Locals Caleb Ely and Asa Silver These young guys are enjoying the trails right from their back door. 2 BACE Jay Marsh Bend Area Cycling Enthusiasts showing what they do on their rides. 3 Spring Trials 2015 Ross Winsor Ross is often seen on a rock pile or concrete wall…jumping up it. 4 Gorge Roubaix Kenji Sugahara Roubaixs are road races that incorporate unimproved roads as another challenge for the riders. 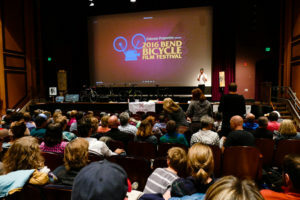 5 Bend Crusade Kenji Sugahara The Bend Crusade brings nearly 1,000 racers to town for the weekend. 6 Billy the Bike Coach Lauren with art from Bayla, Clara and Ashley Artwork from athletes Clara, Ashley and Bayla, animation by Coach Lauren. These cartoons were all over the office walls last summer. 7 Get Up Max Chehab & Tighe Burke Max and Tighe seeing where their limits are on the bike. 8 Bend to Boise Ryan Choate Bend locals exploring some new trails between here and Boise on a road trip. 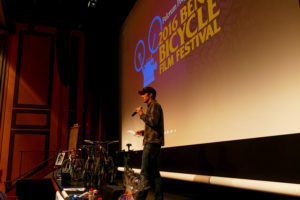 9 3 Bikes, 3 Minutes Harrison Mendel The perfect Bend-Bike? Yes. 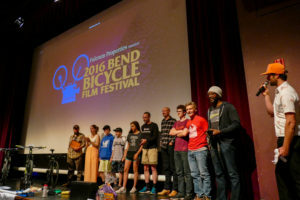 10 Shreducation Bend Endurance Academy A recap of the past 12 months from the BEA cycling team. 11 What is NICA? National Interscholastic Mountain Bike Association We want to have a NICA league in Oregon someday. 12 Cross American Charles Perry Charles lives in Portland and met Tony on his ride across the USA. 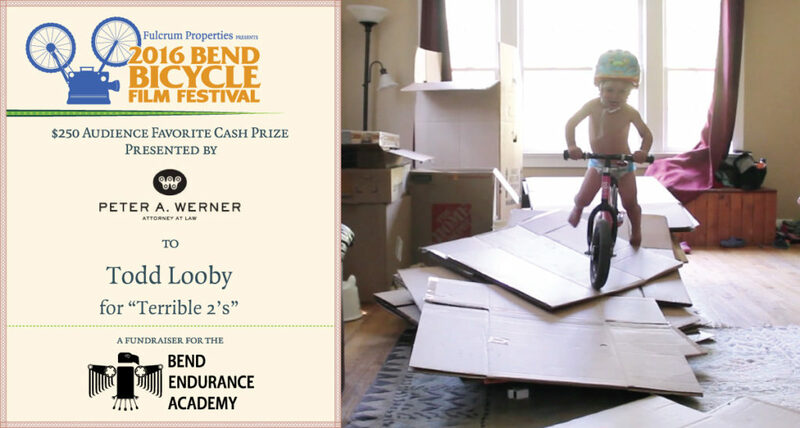 *** Audience Favorite *** Todd Looby Seamus is getting some miles on the Strider bike. 14 All in a Day’s Work Sal Collura Sal visits Co-Motion cycles to see what goes into hand-building bike frames in Eugene, OR. 15 Bike Camping Bend Drew Holmes Drew and Jenelle out for a camping trip this spring. 16 The Line Casey Kohlhoff Bend locals Chris and Katy provided the axles needed for this documentary crew to take their trailers in the woods to film this entire movie by bike. 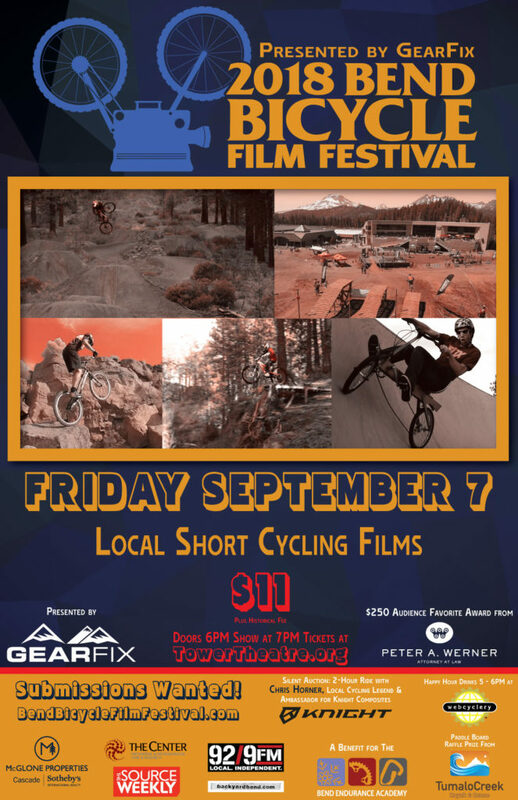 17 Endur bro Devon Lyons Devon runs the Oregon Enduro Series and we have 2 entries to give away to the races tonight!